A-HOTEL.com - Luxury and cheap accommodation in Yermakova I., Russia. Prices and hotel, apartment booking in Yermakova I. and surrounding. Homepage A-HOTEL.com → Europe → Russia → Yermakova I.
Accommodation close to Yermakova I. 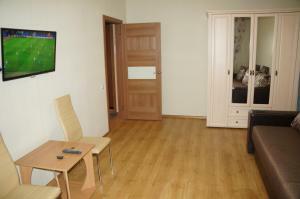 Apartment on Druzhby Narodov 26A is situated in Kogalym. The nearest airport is Kogalym Airport, 11 km from the property. Show more hotels accommodation Yermakova I.